Realizing this is such a difficult time for many of you, we would like to share a few of our favorite Daily Inspirational Quotes for the Christmas season. May you find comfort and peace this Holiday Season! For those of you who have a Facebook page, here are a few Facebook Timeline Covers that we posted on our Facebook page. Please feel free to use either one for your timeline cover. Our thoughts and prayers are with you during this difficult time. 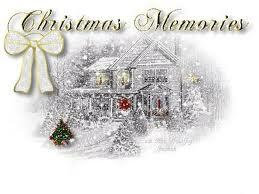 May you loved one’s memories fill your hearts and your home this Holiday Season. God Bless You. The Christmas Holiday Season is usually a time of celebration and family traditions. 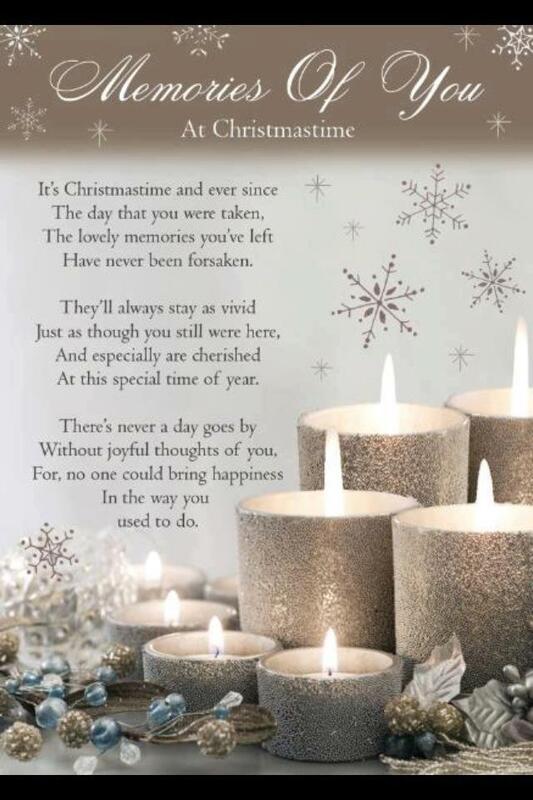 Unfortunately, for many grieving people, this time of year can be very difficult. What our grieving friends and families need is our love and support, more than any monetary gift. While we wish there is something we could do to ease their pain, just being there with a listening ear and loving arms is all that is required. 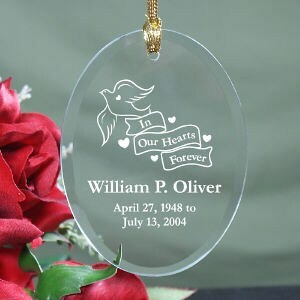 When we feel as though we would like to give a Memorial Gift to ease the pain, a suitable gift is usually difficult to find. In this situation, it is not the cost of the gift that matters, it’s the thought and impact the gift will have to help them feel as though their loved one is close during the holidays. 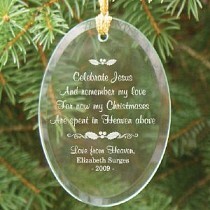 Remember Me offers a great selection of inexpensive Personalized Memorial Christmas Ornaments just for that reason. 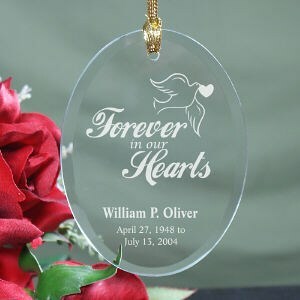 Remember Me Gift Boutique offers a variety of Sympathy Gifts and Memorial Gift Ideas for those grieving during the holidays. Please feel free to visit our website. If you do not know what to give, please just contact us and we will find the perfect gift to express your sentiment keeping your budget in mind. We truly desire to bring comfort to those who are grieving. Are You Stressed or Depressed this Holiday Season? OK, take a deep breath and a moment to help yourself find a way to deal with the stress, and sometimes depression, that will hit you during the next few days. Our Christmastime mentality puts us in high gear to have the Norman Rockwell family get-togethers with all the trimmings! We set ourselves up for disappointment with such expectations! Years ago, I read an article that touched on this subject. I can sum up what I learned from this article in one sentence: Instead of trying to realize all of your expectations, just look for that moment or two that you can carry in your heart for years to come. I actually have practiced this philosophy for many years. I have a memory full of these moments! Our memories are the most priceless gift that we possess. Take a moment to open up this gift and allow the memories to bring you comfort. Talk about them… chances are, others will treasure them as much as you do. 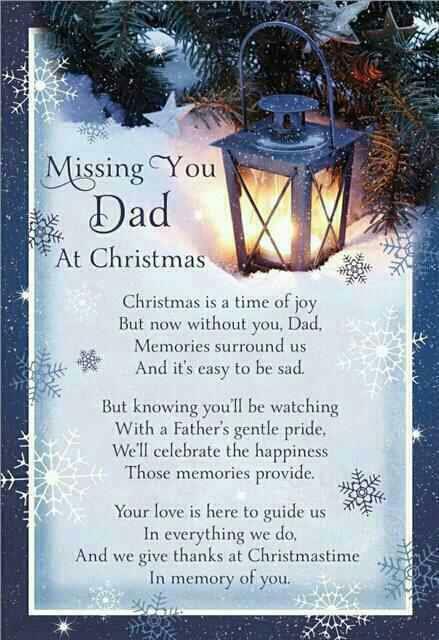 Often a sympathy message or sympathy poem will mean more to a grieving family member than anything else. While we’d like to acknowledge their grief, we should to do it in a simple and respectful manner. 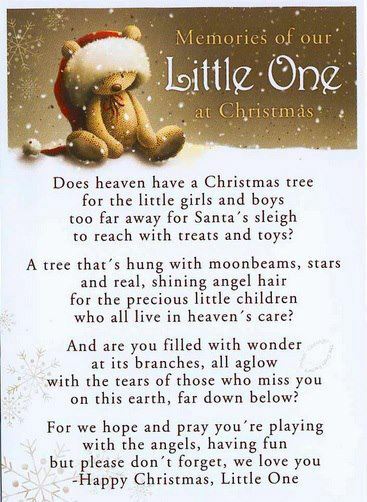 I found this beautiful poem that would be perfect for those who will be grieving during Christmas this year; perhaps this is their first Christmas without their loved one. I can imagine typing up this poem, framing it very simply and inexpensively, wrapping it with beautiful paper, and putting an ornament on it with a bow. What a simple and beautiful way to recognize and ease their pain, while also paying tribute to their lost loved one. For I am spending Christmas with Jesus Christ this year. with the Christmas choir up here. So be happy for me, dear ones, you know I hold you dear. with Jesus Christ this year. 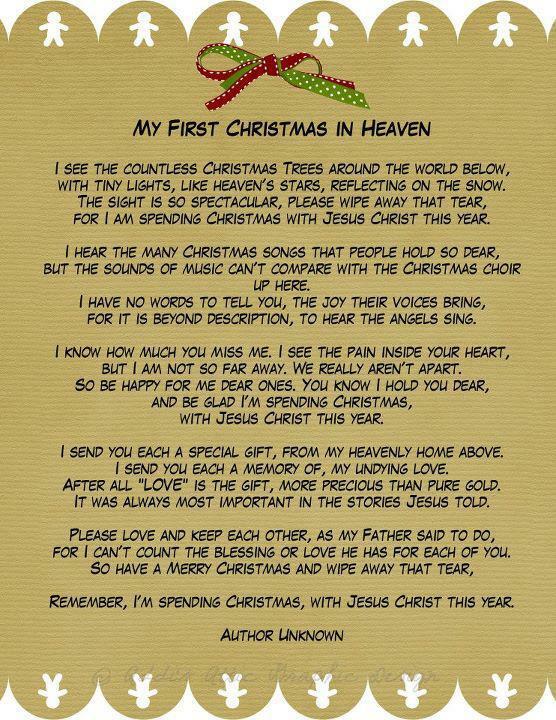 I sent you each a special gift, from my heavenly home above. I sent you each a memory of my undying love. It was always most important in the stories Jesus told. 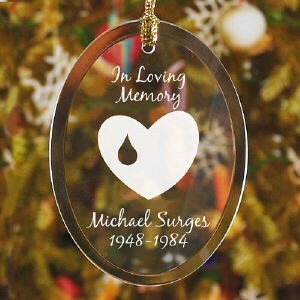 Simple and inexpensive memorial ornaments can be found by clicking here. 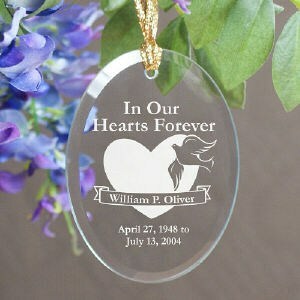 With a little bit of creativity, and an inexpensive ornament, you can touch someone’s heart during this difficult time. Remember Me’s Motto: Your Heart is a Gift. Put a Ribbon on It. How Can We Help Those Grieving this Holiday Season? Halloween has passed and Thanksgiving is just around the corner. We all know what that means! Christmas will, once again, sneak up on us. Unfortunately, so many of us wish we could just skip over this holiday season. Why? People do not know how to react or what to say: Do we mention how we miss that person who has passed away? How will that make those grieving feel? Is it better just to ignore the topic in order to prevent sadness? This is my personal opinion: They are already deeply saddened. There is nothing we can do or say that will make them feel any worse… well, maybe there is… avoiding the topic. They want to feel as though their loved one’s memory is still very much a part of the holiday season. As I mentioned, this is my personal opinion due to my unfortunate experiences. I can very well be wrong. Please share your feeling or thoughts on this difficult topic. Perhaps we can make someone’s holiday season a bit less painful.